Hi! Has anyone had to get a Memorandum of Conviction from the Cardiff Magistrates Courts? 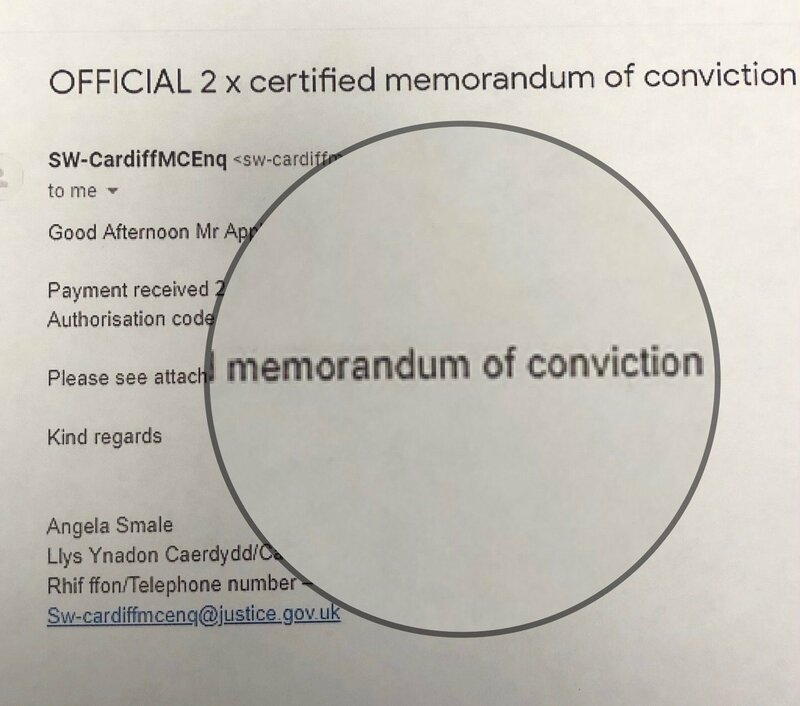 We received an email from the courts that said “Attached are your two official memorandums of conviction” however the actual document reads memorandum of entry. We submitted these documents to NVC and they were denied because they didn’t say conviction. We called the courts and they said they do hundreds of visas and all bodies accept the ‘memorandum of entry’. Now we are stumped. See attached email language and document title. Is this for the K-1? I've never seen these required at this point in the process. Have you also given them your police certificate and Subject Access Request results? That is really strange. I can't speak on the C-1 process as we haven't been through it. For our K-1, we had a police certificate of No Live Trace, so we asked for a SAR report and handed that in as well at the interview stage. We were subject to a 221(g) and additional administrative processing, but we were not asked for any further information. Looking back, I'm as certain as I reasonably can be that what they must have done was contacted the court in question and asked to confirm the information. It was issued in due time (about 3 weeks with Christmas and new year in between). 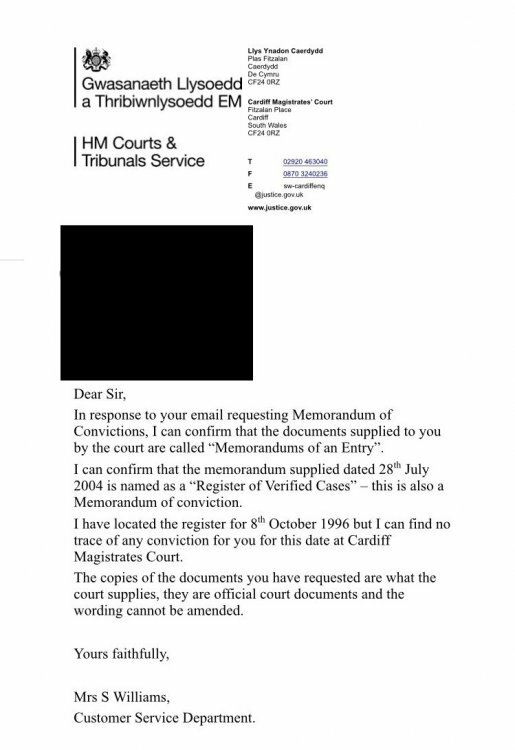 For the Adjustment of status we have added court records , but what we were emailed (and paid for) was literally something that looks like it's been scanned out of a 15 year old book and signed, it doesnt say either Memorandium of Conviction or Entry. Hopefully we don't get an RFE. Thanks again for responding. At the NVC stage it asks for the police certificate and if any conviction exists you need to provide court records. (See image) Court record guidelines are country specific, so depending on where the beneficiary lives, the document type varies. Attached is an image of what the UK finds acceptable “usually called a memorandum of conviction”. Usually means not always. Which means there is obviously an exception to the rule, right? I’ve gotten a letter from the court (attached) and hopefully it clarifies things. I’m just annoyed that we could have and SHOULD have had a case complete days ago. I also needed a Memorandum of Conviction for my fiance's juvenile case. He had to pay 25 pound and they gave him a Memorandum of Entry. I asked if this was all they had and they said that the Entry was the same thing as the Conviction and because is was 10 years ago, every else has been destroyed. I'm going to submit the e-mails showing what we specifically asked for and them telling me this was all they had and hope it works. I think including the email is the best thing to do. My case has now been forwarded to a supervisor...but get this, supervisor review takes up to 6 weeks! What in the world?! But the letter from the court that I uploaded today could be reviewed and rejected again or deemed case complete within 3 weeks. So at this point we just wait and hope for the best. Hopefully your document gets approved! Positive thoughts right? Yeah...my husband too! First they sent him records from the time he was 3. HUNDREDS of pages. Ummm...well thats not gonna work. We asked for the Summary Care Record and they have no idea what that is. We showed them the link from the NHS website on how to get it. Nothing. We JUST got something 2 days ago...it’s 10 pages long but we’re like, that’s probably as close as we’re going to get. So we just let the Visa medical office know at the time we made the appointment that his report is 10 pages and we’re good to go. It's a nightmare trying to get these records. He first was told he had to request them in writing so he wrote a letter up and handed it in personally. They then told him he had to be registered first. (He moved back to London from Goole and never registered) They said they're merging with another company so it may be two weeks or so to get him in the system. He keeps getting the run around but I have a feeling it's going to be harder than normal since he also had depression years ago and will need a letter in addition to his summary records. But I really hope they accept his Memorandum of Entry as the Conviction with the emails showing that's all they have. Sounds like an absolute nightmare. Also sounds like you are trying to do everything in advance. That’s exactly what we did. But I truly think it depends on how much experience the agent that is assigned to review your documentation has. Basically luck of the draw. If the letter works in my case...maybe you can request a letter from the courts and upload it as well. Our process has been pretty smooth up until this point, for which I’m extremely grateful, now to just get passed this very peculiar hurdle. At least with the memorandum...you can watch my case and if it works, use the same process. Save yourself some time. Hopefully all all goes well for you guys. Thank you! And yes, I am trying to have everything prepared and ready. I got an RFE (which I knew was coming for not submitting my entire divorce decree) and it's been a week since they received it and I still have not heard anything back. 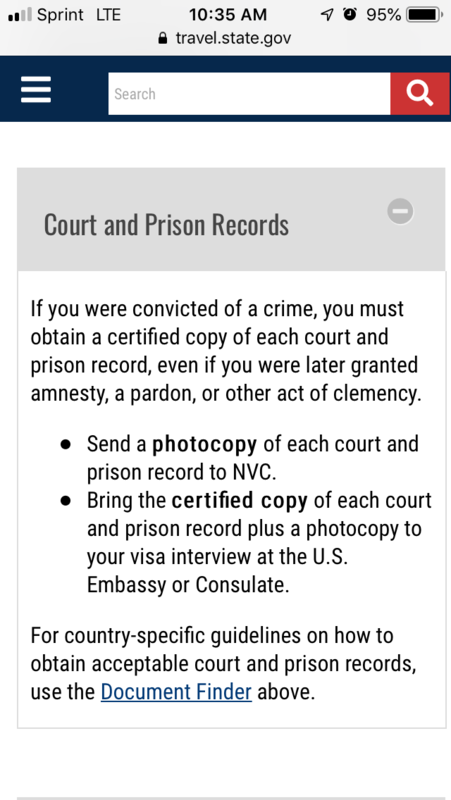 The only part I'm nervous about is my fiance's criminal history. 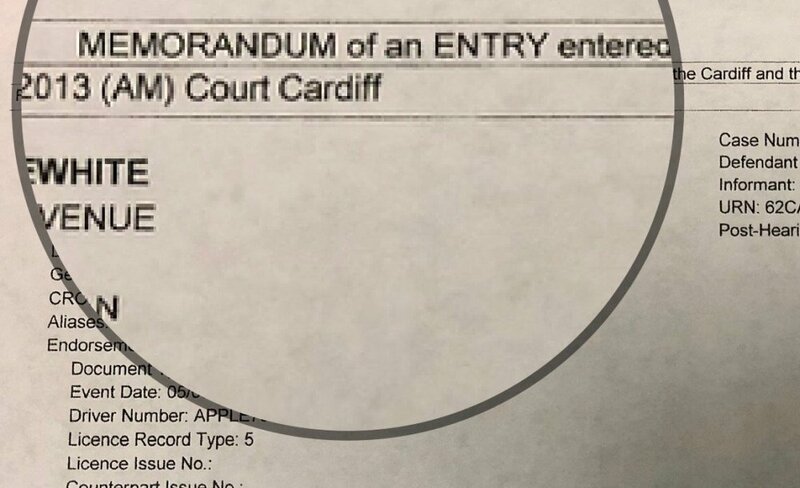 He only has one actual charge when he was a juvenile but has two adult cautions and I was told they count cautions as actual charges..
Today NVC accepted the same document they rejected...with a letter from the court stating that the document is indeed their version of a memorandum of conviction. So as of right now we are documentarily qualified and awaiting an interview date. That's so good to hear!! I attached the e-mail stating that the Memorandum of Entry was all they had so I'm hoping that's all they need! Fingers crossed that works for you. RFE's are the devil. Especially when you've submitted the exact thing being requested. Please keep me posted!